A new cocktail bar and traditional American spot has made its debut in the neighborhood. Located at 535 N. Wells St. in River North, the fresh arrival is called Marchesa. This newcomer--which recently opened in the former Crofton on Wells space that closed in 2012--is a new project from Jason Clark and Kathryn Sullivan Alvera, who used to work together at Italian eatery Prosecco. The menu combines Italian, French and Spanish flavors, so expect to see a variety of dishes like steak frites, pots de creme, caviar parfait, herb butter-basted chicken with roasted potatoes, and wild mushroom-filled ravioli with black truffle sauce and Parmigiano-Reggiano. With a five-star rating out of seven reviews on Yelp so far, Marchesa has already made a good impression. Mancow M., who was among the first Yelpers to review the new spot on December 31st, said: "Wonderful service and great food. Very romantic place. Lots of little rooms and areas where you can have private memorable moments. Great wine." Yelper Kate R. added: "It's been said that wonderment is the first passion. 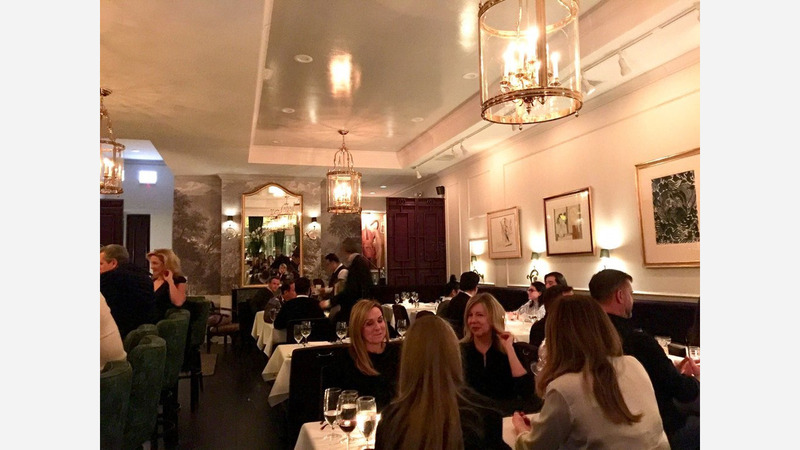 Marchesa is living proof a restaurant can still inspire astonishment...anyone who likes fine dining, expertly delivered without pretension, will simply love Marchesa." And Reagan A. said: "Great new spot in River North. Very romantic atmosphere with velvet chairs/couches and candles throughout. Food was fantastic with one of the best steak tartares in town. Highly recommend."